With an irresistible blend of dazzling monuments, thrilling wildlife encounters and palm-fringed beaches, Sri Lanka is a fantastic family destination. Travel in style and comfort with your own private guide and chauffeur on a tailor made journey which can take in a multitude of sights, sounds and activities from colourful temples to whale-watching. Offering an enticing combination of culture, wildlife and scenery, Sri Lanka is our heartland and it works brilliantly for families during all the school holidays. 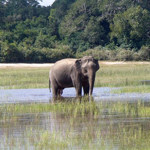 Inland you will find fascinating world heritage sites, wild elephants and cool tea plantations, whilst on the coast you will find golden beaches and a choice of water sports. Activities such as whale watching, white water rafting, cycling, or this village farm experience are suitable for all ages. You will find our expert team’s insider knowledge and thoughtful advice as helpful as it is honest. 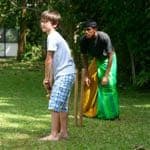 We have travelled with our own kids throughout Sri Lanka so our suggested itineraries are tried and tested. 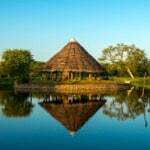 As there is so much to see and do, a touring holiday is the best and most rewarding way to experience Sri Lanka. It’s easy too – you will travel around in a private chauffeur-driven minivan, staying in high quality family-friendly hotels with excellent facilities. All drivers and guides are personally vetted by us. Classic Sri Lanka takes in the Cultural Triangle, Kandy, the Tea Country, Yala National Park, the Galle coast and Colombo – a kaleidoscope of Sri Lanka’s top attractions. There’s downtime for relaxation as well as thrilling activities such as an elephant safari. If you prefer your creature comforts to come with knobs on, this luxury family holiday has a similar mix of sites and sights but with top notch accommodation in boutique hotels and, for example, a fully-staffed beachfront villa. Active families with teenagers will love our Family Adventure. Highlights include a stay in an eco-resort in the jungle, safaris, jungle trekking, canoeing, white-water rafting and the chance to witness the gathering of elephants at Minneriya. Take a walk on the wild side on our Wild Family Adventure which ups the ante when it comes to once-in-a-lifetime experiences, travelling to more remote places. It’s definitely one for families who like to push themselves physically and really get under the skin of a place. 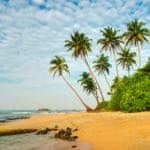 There are always beaches within easy reach in Sri Lanka but there’s something really magical about a two-centre holiday combining a family tour of Sri Lanka with some snorkelling and relaxation in the idyllic Maldives. Our itineraries are only suggestions – they can be modified to suit your specific interests, available time and budget. Find out more about our family holidays in Sri Lanka and see the best time to visit.